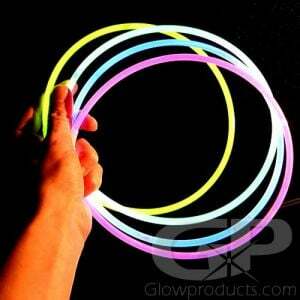 - Three Colors all in one Glow Stick Necklace! 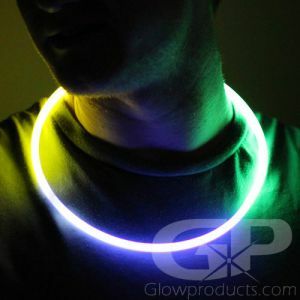 - Blue, Green and Pink Three Color Glow Necklace! 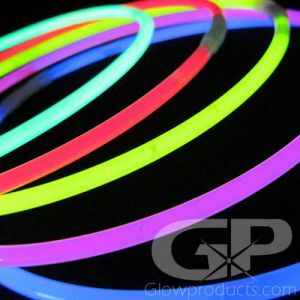 - 6mm Thick, High Quality and Waterproof! - Special Events! Fundraisers! Parties! Concerts! 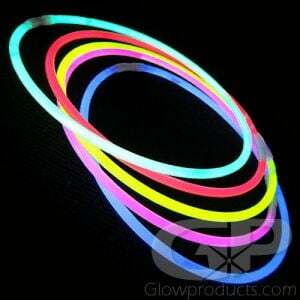 22" Tri Color Glow Necklaces have 3 fun bright colors - Pink, Green and Blue - all in one awesome glowing necklace! 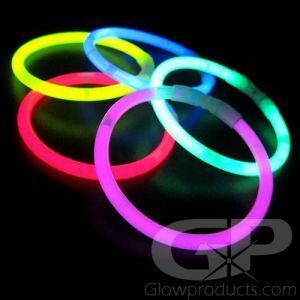 Three Color 22" Glow Sticks Necklaces are great at fairs, all kinds of special events and fundraising for school dances! 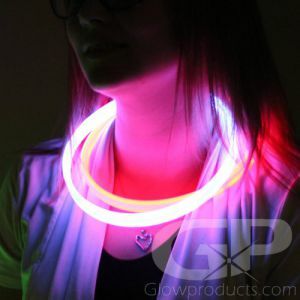 Tri-Color Glowing Necklaces are perfect for getting people noticed, so make sure to have some on hand at Halloween, camping or for your next night time sporting event to light up the kids, campers and participants! 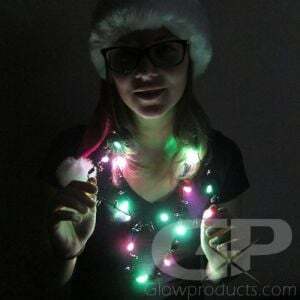 And with the pre-attached connectors, the 22" Tri Color Glow Necklace can easily be converted to Glow Rope! 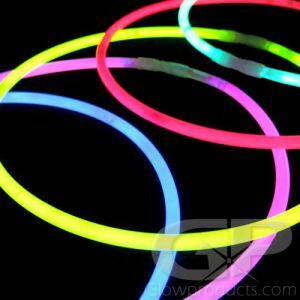 String the glow necklaces together to create cool glowing decorations and string them around the party for a cool glowing effect! 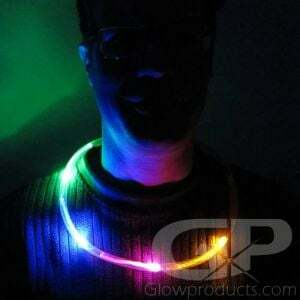 Instructions: Bend along the length of the tri-color glow necklace to break the inner glow capsules. 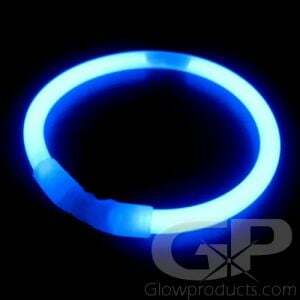 Shake to mix the glowing liquid in the three color sections. 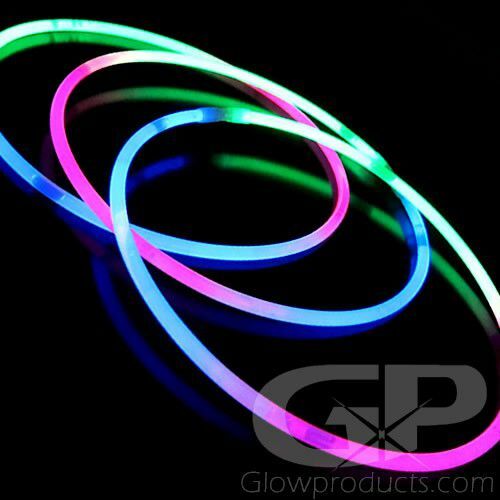 Bend to form a loop and push each end of the tri-color glow necklace into the connector. Totally water-proof with a break-away connector.